My friend Jenn from Bread + Butter put out a call to her Food Blogging friends to participate in a “Blogger Secret Ingredient” Challenge. 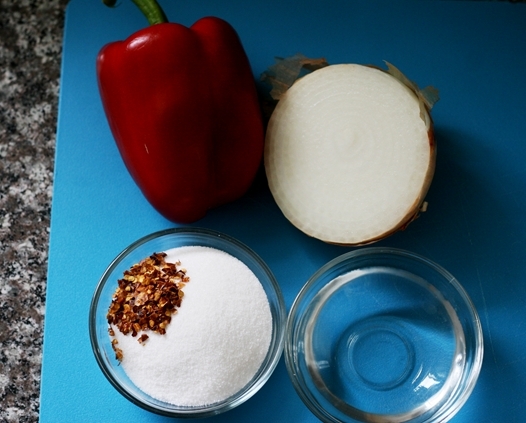 Everyone had until today to post a recipe using bell peppers. Like the slacker I am I waited until today to make my recipe. But I must say, just because I waited until the last minute doesn’t mean my entry is sad or pathetic. Quite the opposite if I do say so myself. What I present to you and Jenn is a recipe (the winning recipe ;)) for “Red Bell Pepper Relish”. It was very easy to make and fabulous to eat to say the least. I plan on buying some cute canning jars and making a big batch of this relish and give them away as gifts. 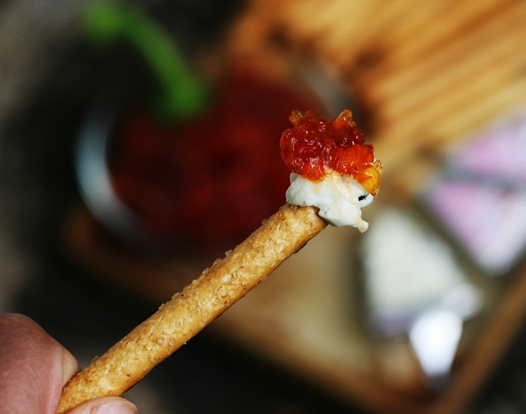 This sweet and savory relish would be great poured on brie, cream cheese, or straight up served with crackers. Or in my case, pretzels. The addition of red pepper flakes gives this relish a nice little tingly heat burn on the tongue that is not too hot but enough to tantalize your tastebuds. This is so much better than anything you can buy in the store. Enjoy! 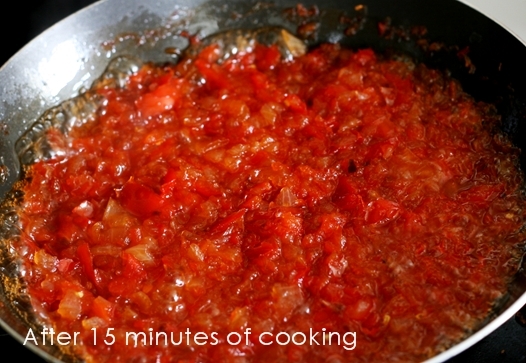 Add everything to a small sauce pan and stir all the ingredients until well incorporated. 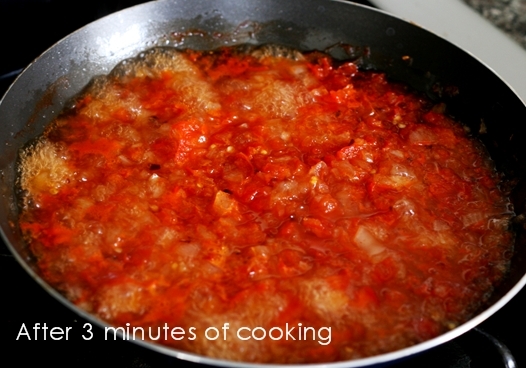 Cook the relish on medium heat for 5 minutes and turn down the heat to medium-low for an additional 20 minutes, stirring occasionally until most of the liquid has reduced. 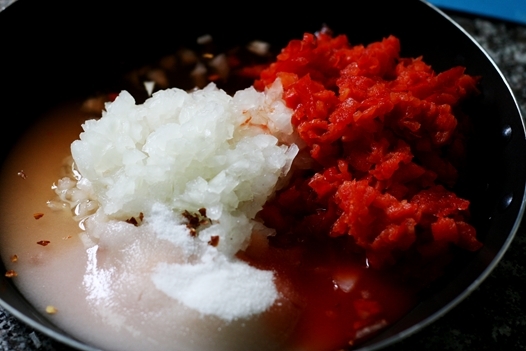 Remove from heat and allow to cool before serving. Hi. Silly question maybe, but do you coat the pan with oil before adding the ingredients? Thanks. What is “bamix” ??? my 81yr old Dad and I were going grill Polish sausage for supper yesterday. But I had a friend that asked me to shopping at outlets. So I asked Dad to make this recipe. I highlighted to us the 1 / 4 tsp Pepper Flakes as I have had pains a week after stomach virus, The pepper flakes came out fast he said, it was not too hot. Today at lunch we had it on Ham and Swiss sandwich! 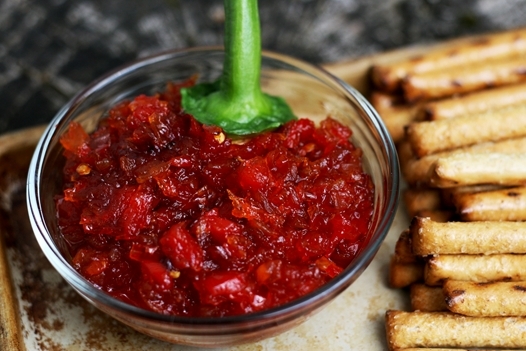 Delicous Relish!!! I have made this recipe at least 5 times in the last year. First effort for my son’s wedding was a hit as take home gifts for the wedding guests. Since then, I have played with the recipe a bit, adding a little more chilli flakes and blitzing the final mix with my “Bamix”. My husband eats it daily and the family love it with cheese. Hi there, Just noticed this recipe and noted all the wonderful feedback. I have never made relish before – Just wondering if someone can tell me how long this relish will keep for If I jar it in sterilized jars. Refrigerated or NOT? This recipe is absolutely delicious! I made it for Super Bowl and everyone loved it. Thanks for sharing. Unable to find a link to have this recipe e-mailed to me? Thank You! 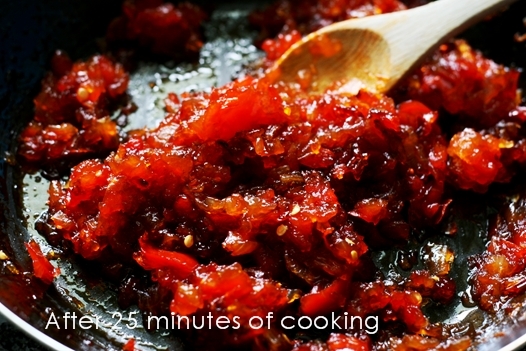 Really good recipe and a fantastic way to use up our current glut of Spanish peppers. Have followed the recipe exactly and it’s beautiful. Ran out of white vinegar and used Braggs apple cider vinegar and less sugar. This is a great variation too. Thanks for making your lovely recipe available. Followed this recipe exactly about three weeks ago. It was perfect. I’m now back again to make another batch. Absolutely fabulous. Thank you.